Lymphocyte homeostasis is tightly regulated in vivo by various factors including cytokines, antigens, and costimulatory signals. Central to this regulation is the intricate balance between survival and apoptosis determined by pro- and antiapoptotic factors, including Bcl-2/Bcl-xL of the Bcl-2 family in the intrinsic death pathway and Fas/FADD of the TNF death receptor superfamily in the extrinsic death pathway. Recent studies have identified a critical role for autophagy, a well-conserved catabolic process in eukaryotic cells, in T and B lymphocyte homeostasis. Autophagy is essential for mature T lymphocyte survival and proliferation. 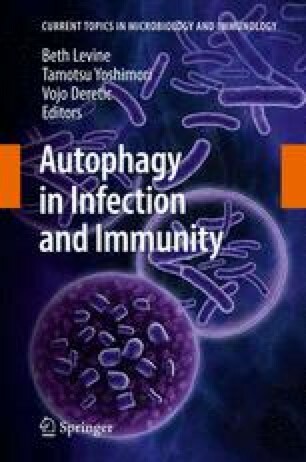 In addition, autophagy can promote T cell death in defined physiologic or pathologic conditions. Autophagy also contributes to the survival of subsets of B lymphocytes, including developing pre-B cells as well as B1 B cells in vivo. Thus, autophagy represents a novel pathway regulating both developing and mature lymphocytes. Future studies are required to investigate the role of autophagy in regulating T and B cell homeostasis during immune responses to pathogens, as well as to define the mechanisms by which autophagy regulates lymphocyte death and survival.